I knew we were only ever going to be in Singapore for a short time but that didn't stop me wanting to meet a group of friends to help with homesickness and make staying here feel that little bit more familiar. Making friends as an expat has been so interesting and I have learnt so much about myself in the process. I hope this post will resonate with anyone who is, or has been, an expat and actually most of it applies to friendships at home as well! I guess one of the main worries before you move abroad is that you might struggle to make friends, so read on to hear how I have found it. 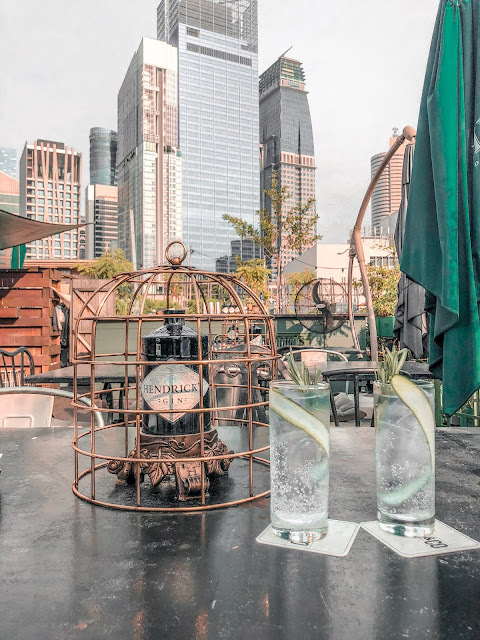 A visit to Singapore wouldn't be complete without enjoying an ice-cold drink at one of the city's rooftop bars. With a mix of iconic sky-high buildings offering impressive views of towering skyscrapers to small and cosy bars for an after-work gossip, I've never known a city with as many options! I have compiled a list of some of my favourites to inspire those of you visiting for a holiday or perhaps living here but looking for some new drinking inspo. There is a mix of modern and older buildings as well as some at a lower vantage point than others to give you a different view of the magnificent skyline. No list of rooftop bars in Singapore would be complete without including the highest al-fresco bar in the world complete with an epic 360 degree view of the city. I think 1-Altitude has to be my favourite rooftop bar to visit in Singapore and definitely surpasses expectations. As it is so popular there is a fairly steep cover charge. If you enter between 6pm and 9pm expect to pay S$35 entry, or S$45 after 9pm. 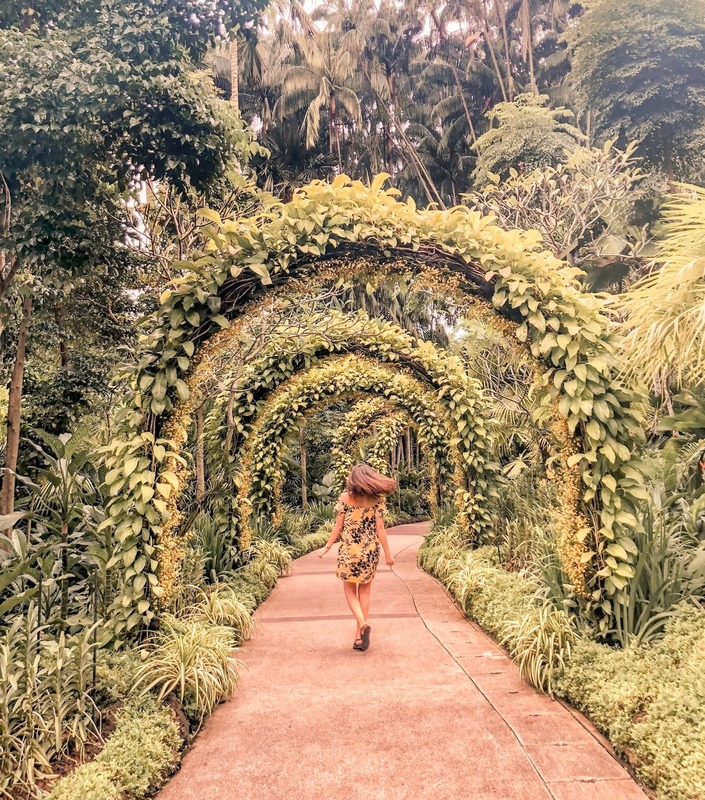 I visited this beautiful, green part of Singapore for the first time this month and found it a great way to get some exercise, fresh air and escape some of the Singapore humidity for the day. Here are my quick top 10 tips to note before you visit MacRitchie for a walk. It's a really nice place to get a break from the city centre humidity, however, don't be fooled into thinking your walk will all be in the shade. The tree top walk is open to the elements as are many other parts of the walk. We visited mid afternoon and I would advise going for 2pm. The treetop walk closes at 5pm but you have until 7pm to make your way back. My first visit to Siem Reap was in June 2018. Whilst we did have a bad experience with a floating village trip (read more here) the temples were absolutely breathtaking. I will never forget how I felt when I walked into that first temple, and it just got better and better! Siem Reap makes an excellent weekend trip for those living in South East Asia, and I picked up a few tips during my visit which should help your planning go more smoothly. Here are my top ten tips to get the most out of a short stay visiting these ancient wonders. Before you go to Angkor Wat, reading up on the history of the complex and the main temples is essential to ensure you fully enjoy your visit. There are some information plaques, but not many, and you can also get a tour guide if you wish. I don't think this is essential unless you are really into your history. Reading some background info online before visiting will give you a good base and enhance your experience.